But wait... I'm a programmer. A raging, nerd programmer. I think I created the phrase "results whore," or at least have had it applied to me more times than I can count. 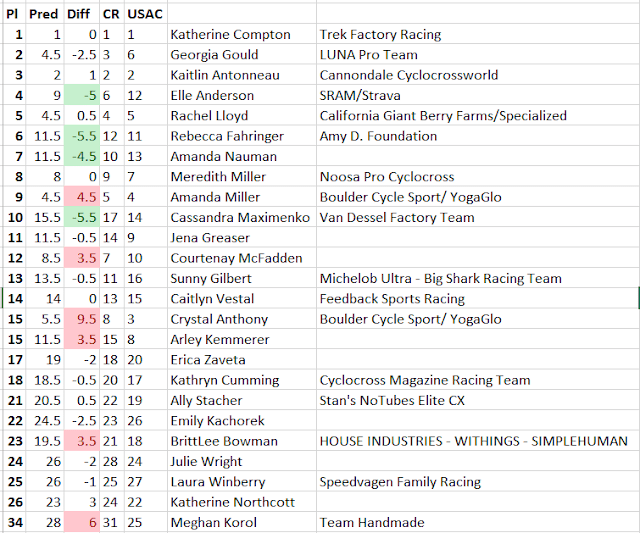 So I started dreaming about some kind of magical web crawler that would look at all the bike results on BikeReg, compile them into a database, and then give you all kind of sweet web-based functionality to browse and compare the data. 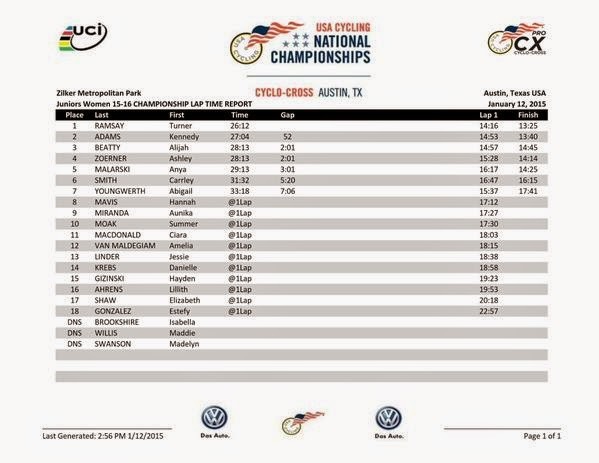 The kind of thing you might think USA Cycling would have in the "race results" section, if they contracted their web development out to Google, and Google did a typical way-better-than-you-thought-possible job. So I've been working on this for 3 days now. I already have a C# app that takes a BikeReg.com results URL, downloads the webpage, parses it and copies it into a SQL Server database in a scant three clicks. It's got some issues, but it mostly works. The next step is to throw together a passable web interface to the database and publish this thing to the web. 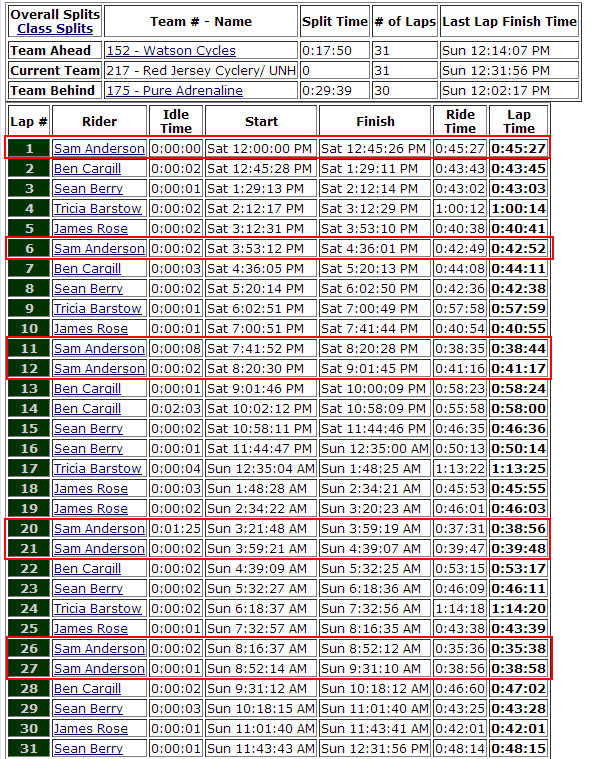 I can probably load every cross race from this year (with results on BikeReg) in an hour. This is going to be so cool. You know those silly NEBRA points rankings that no one seems interested in maintaining? I can do those in like, ten minutes. Actually, screw that, how about a web page that lets you select a set of races, and a points breakdown (100 for first, 80 for second, etc etc) and then computes points-based series results on those races. You could do Verge, NEBRA, whatever the hell you want. You can make up your own series. You can make up your own scoring. Yeah. Let's do that. That would be f'in cool. Does anyone else think this is cool? Bikers are nerds. Nerds like data. If they can spend 100 forum posts debating 32 psi vs 34 psi, I bet they'd like to have a better way to look over results than text files on BikeReg. So I bet I'm not the only person who thinks this will be cool. And even if I am... I'll have fun programming it. Because I'm a raging nerd. Mmmm, results. Cool idea, I like the self-defined series. I'd do a series of all the races I've raced in (and not sucked at), and I'd probably do pretty well. As for 34 vs 32 psi, I think 20 psi works best - that's what I ran (by accident) on Sunday in Wrentham and got second. Then again, maybe I'd have caught the winner if I ran 18. I think your results coding sounds way cool! You go, guy! That's awesome, actually. Although it takes all the productivity-killing fun out of scouring bikereg for year-old results. And USAC's results thing blows. There are a ton of races that I've done that aren't in there. Sounds like a great idea! Dont depend on USAC to do anything productive with all the fees they collect in licenses. They waste their money on more less important stuff. By the way I use to race for Fat Chance and Independent Fabrication back in the day, even visited Somerville once. it'd be a good way to waste some time if nothing else. Plus who doesn't want their own series? sounds cool. let me know if you ever got this working.